TeamDev Blog: JExplorer 3.3.2 is Released. JExplorer version 3.3.2 features improved memory usage, added functionality that allows configuring path to JExplorer binaries, and extended DOM API with functionality that allows getting more info about DOM events. 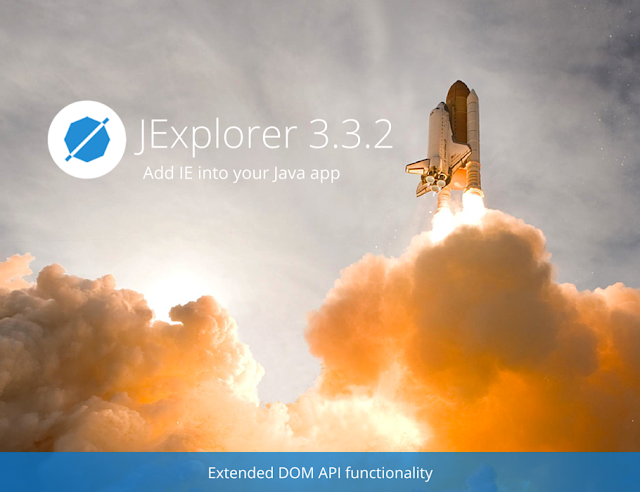 See the full list of changes in 3.3.2 on the JExplorer Release Notes page. PPAPI Flash on Mac in JxBrowser 6.0.1! It's Official – JxBrowser 6.0 is Released!